PeppermintOS 9 DVD (64-Bit) | Linux DVD Shop - UK Linux Shop supplying Linux on CD, DVD and USB with Free UK Delivery, 24Hr Dispatch. Peppermint OS 9 for 64-bit systems. Peppermint OS is a Lubuntu-based Linux distribution that aims to be lightning fast and easy on system resources. 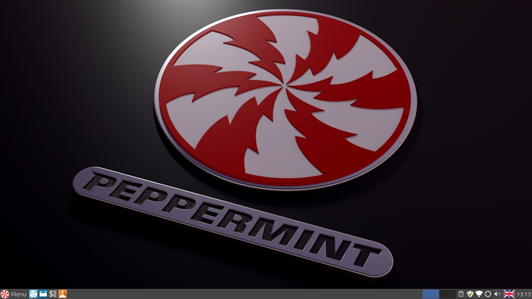 By employing its Site Specific Browser, Peppermint integrates seamlessly with cloud and web-based applications. The distribution's other features include automatic updates, easy step-by-step installation, sleek and user-friendly interface, and increased mobility by integrating directly with cloud-based applications. The distribution employs a hybrid LXDE/Xfce desktop environment, mixing LXDE's lxsession with Xfce's panel and application menu.